We are very privileged to be able to bring you this interview with Angel Corella. 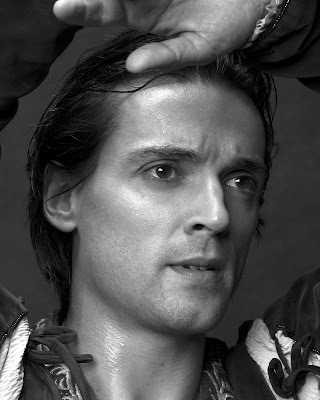 Corella was born in Madrid, Spain in 1975 and was promoted to principal dancer with American Ballet Theater aged just 20 having won First Prize at the National Ballet Competition of Spain and the Grand Prix and Gold Medal at the Concours International de Danse de Paris. 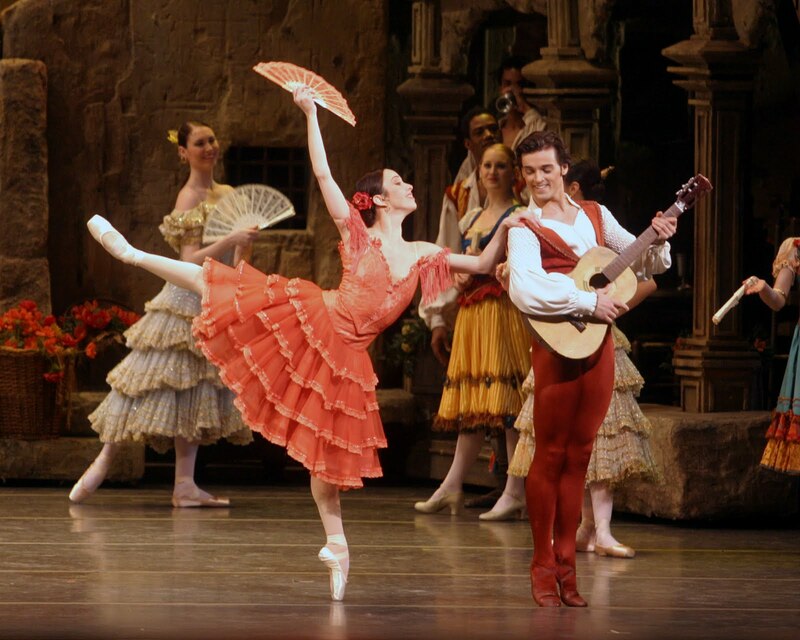 While still dancing with ABT he guests with companies all over the world and recently set up Corella Ballet, the only classical ballet company in Spain. He is noted for his virtuosic technique coupled with exceptional musicality. We interviewed him while preparing for performances with ABT in Tokyo, Japan. Wow, I go way back! My mum says that I was two years old and I had my dummy in my mouth and I used to dance like John Travolta because he was really popular. And I think since I don’t have any specific memories, I was already a dancer then. For me it was a way of expressing myself through movement. I remember the first class I took, I was six years old and I was with my sisters. At first I started with karate but one of my friends had his nose broken and it started to bleed. I got really scared because I was only six. So my mum took me to my sisters’ ballet class. She’d make me sit down in the room and say, ‘Don’t move,’ and she’d go off and do her errands. One day I just got up and started to turn and jump and that’s how I started. There was no moment when I said, ‘I want to be a dancer.’ I think I was always a dancer. So you liked ballet straight away? Yes. I think in the ballet world, especially when you’re a little boy, although there are different things that make you realize that’s what you want to, most of the times a male dancer is born as a male dancer. I think with women it’s different because their mothers and fathers want to put them in a tutu and that’s their dream. It’s like boys wanting to be a fireman - when you’re a girl you want to be a ballerina. But when you’re a boy and want to become a male dancer it’s because there’s really something inside you. It’s an urge that you can’t really control. Were you the only boy at your school? Yes. It was really difficult because I lived in a very small town outside Madrid and I was the only boy. At school when they found out they used to kick me and beat me up and I had to run home. But my two older sisters used to protect me. They used to walk me home. After that I went to a bigger school in Madrid and everything became a lot easier because there were some other boys so I didn’t feel like I was a freak. The story’s very similar to the film Billy Elliot. I think a lot of people have experiences related to that. Was there a moment when you realized how far you could go? Not really. And I have to applaud my parents and family that they actually supported me and helped me through my whole career without really knowing how far I could go. 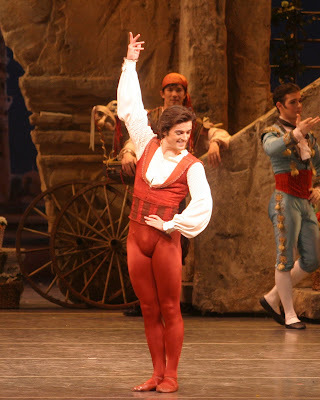 Especially living in Spain, where at the time we didn’t have a ballet company, it was really scary to know that to finish your training and have a career you would definitely have to leave home and live overseas. And then after that to be able to join a company, you have to demonstrate that you’re better than a dancer from that country which makes it more difficult than normal. Luckily that’s now changed because I’ve created a new foundation and set up the only classical ballet company in Spain. But it was very difficult and very scary for me growing up and my family supported me through the whole process. Did you ever doubt your own interest in ballet? No, never. You can’t when you have it so clear that’s what you want to do. I used to think, ‘Well, if something terrible happens, maybe I can become a stage manager or lighting designer,’ but always something related to the ballet world because it’s magical. Once you’re involved in it, it grabs you. There’s no way to get out. Did you have to make any sacrifices to pursue your passion? A lot. From when I joined my first school at six until I joined ABT at nineteen, I didn’t really have friends outside the ballet world. And people are so competitive and there’s so much jealousy sometimes in schools that if you’re a little bit better or a little bit ahead of the rest, if you can do an extra turn or an extra jump, they don’t seem to like that. So I didn’t have any good friends until I was nineteen. And all my friends now are always outside the ballet world. So how many pirouettes can you do off a single preparation? Oh my goodness! Well, when I was twenty, I used to be able to do 33. I did that once for a TV show because they challenged me to set the Guinness Record for how many turns you could do from one take off. Usually when I’m in a show or a rehearsal, I don’t know, twelve or thirteen. Fifteen sometimes. What’s the hardest thing about your life as a professional? Recently my life has changed completely because I’ve become both director and dancer with my own company, Corella Ballet as well a guest artist with other companies. I’m still dancing with ABT, I’ve recently danced with the Kirov in St Petersburg, I’m just back from a gala in China and I’m dancing in Brazil straight after Japan. So to be able to do both things at the same time is a lot of work. It’s a lot of pressure. You have to stay on top of everything because our company’s funded privately. It’s not subsidized by the government so you have to learn about politics, you have to learn about economics, a lot of the things I never expected as a dancer. I used to just take my bag and show up for the rehearsals. Now it’s double the work. I mean you’re dancing, you’re directing and sometimes choreographing. It makes you value it all a lot more than normal. What can you tell us about Corella Ballet? Our company right now is the only classical ballet company in Spain and it’s been running for the past four years with tremendous success. I don’t really know what happened. I was holding the auditions and it was like all the greatest dancers from all over the world wanted to join the company. I think it’s because it’s a new project and it’s something with a very fresh point of view. We try to do the best choreography with the best choreographers and to have a very light and very modern approach to what classical ballet should be. Sometimes big companies get stale after so many years. Sometimes they don’t know which way to turn because the world has gone in a certain direction and the company’s style has gone in a different direction. It takes them a while to shift and get back on track. Our company only started four years ago. 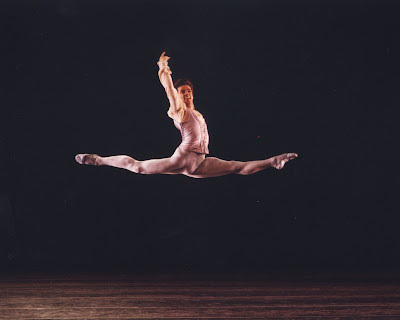 I’m active and not very old so I think that makes it easier to connect with a younger audience as well as the generation which has been seeing ballet for many years. The foundation was started in 2001 but it took a few years to fundraise the money to start the company. The company started in 2007-8 and we’ve already done two American tours to Los Angeles/New York and we’ve just come back from Charleston, New Orleans and Seattle; we went to Italy to the Spoleto festival; we’ve been in France; we’ve been all over Spain; we’ve been to Portugal; next year we’re going to China; hopefully we’ll come to Japan, so it’s amazing in such a short time. We’ve been on the cover of dance Europe twice already and had incredible reviews which I’m very happy about. What do you think about critics who say ballet has become a dead art form? Well, it’s like saying that a suit is something that shouldn’t be worn any more or that Goya’s paintings are no longer worth looking at. It’s really silly. For example I did a new Swan Lake and injected new things for a younger audience. In the very first act we had projections which opened the story so it’s almost like starting to watch a movie and then everything becomes reality and you’re sucked into the ballet. And then to connect each act with the next we used those projections. In the third act we have an explosion, a huge explosion. We actually hired people from the movies to do a special explosion. So everything becomes not only great dancing but also great theatre and I think that’s what you should try to do with the new generation. Have the great improvements in male technique over the 20th century come at the expense of artistry? It’s difficult because today most audiences react right away to a great jump or to a great turn and a lot of dancers, especially male dancers, get confused with ‘That’s what the audience want to see’ and ‘That’s what artistry is’ and ‘That’s what I should do’. 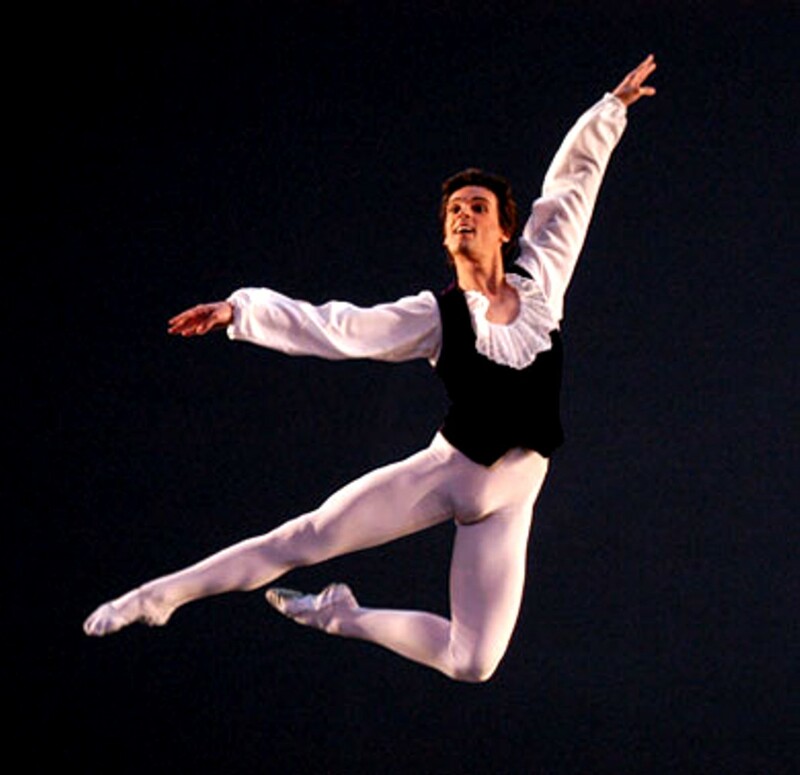 It’s really important to be able to do a great turn or a great jump but it’s also more important to be able to act and to be able to carry a ballet from beginning to end. If the only interesting thing in a two hour ballet is a couple of variations that last a minute and a half, the audience will be like ‘I’m going to fall asleep.’ And you might be able to do them better than anyone but after the variation is over they’ll think, ‘OK I remember that minute and a half but I don’t really care much about the rest of the ballet.’ So you have to be able to carry the whole role and the whole evening, to project something and help the audience participate in what is happening on stage. Great technical dancers come and go. But those really great big stars last because they have that quality of being able to gather the whole audience and stay with them through the whole show and not just the moment of the variations. What do you know now that you wish you had known when you were twelve? So, so many things. You grow in the ballet world as you grow as a person. It’s all connected. And as you grow as a person, you grow on stage. Now when I go on stage I know exactly what’s going on, I know the reason why I’m on stage. As human beings our minds and souls can communicate in a very positive and a very truthful way so when I’m on stage that’s what I try to do. I try to tell a story and tell how I’m feeling or tell how Romeo would feel or how Basilio would feel and I think that’s what the art form should be about. Ballet is about communicating. That’s why I think it’s so important not just to focus in on the technique because ultimately what the audience want to see is who you are. American Ballet Theatre are performing in Tokyo this week. For more information, please click here. I would like to offer very sincere thanks to Angel Corella for his time answering my questions. I would also like to thank Kohei Takeuchi for arranging the interview and finding us space to hold it at the Chacott Boutique in Tokyo. I asked Mr Corella what he thought about Chacott and he said: "They have amazing stuff. It’s incredible. And right after this interview I’m going to go shopping and probably take like 300 costumes for the company because I saw some beautiful stuff downstairs." My thanks also to Mitsuko Terasawa for help obtaining the photos.